Oil held gains near the highest since late October as an escalation of geopolitical conflicts in Libya and Iran belied technical indicators suggesting the rally is overdone. Futures were steady in New York, after gaining 3.7 percent over the previous two sessions. Fighter jets bombed the Tripoli airport in OPEC producer Libya and U.S. President Donald Trump said he would designate Iran’s Revolutionary Guard a terrorist group. The 14-day relative strength index for West Texas Intermediate futures was at 77, above the 70 level that signals its in overbought territory. Geopolitical flash-points in the Middle East and Venezuela have provided added upward impetus to oil as output curbs by the Organization of Petroleum Exporting Countries and its allies keep supplies in check. The prospect of some sort of resolution to the U.S.-China trade war and slivers of optimism over the global economy have also buoyed the demand outlook in recent weeks. WTI for May delivery gained 3 cents to $64.43 a barrel on the New York Mercantile Exchange as of 7:48 a.m. in London. It rose to $64.77 earlier after advancing 2.1 percent to settle at $64.40 on Monday, the highest closing level since Oct. 31. 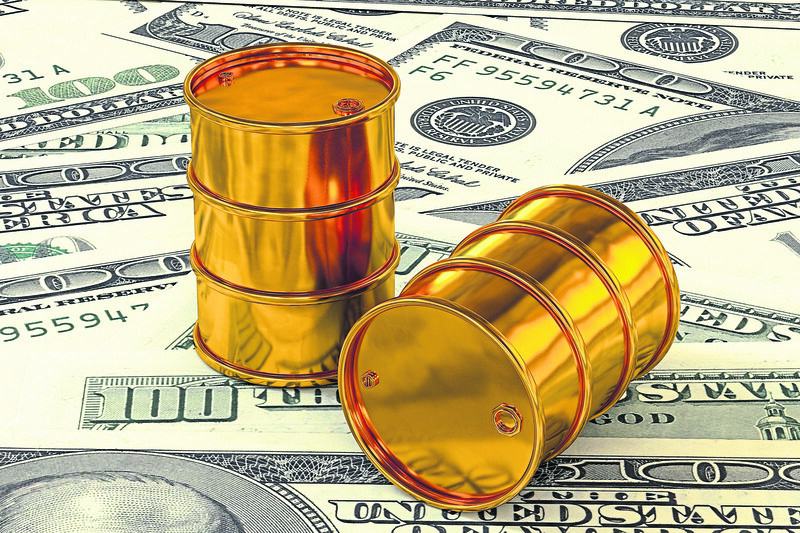 Brent for June settlement fell 12 cents to $70.98 a barrel on the London-based ICE Futures Europe exchange. The contract gained 1.1 percent to settle at $71.10 on Monday. The global benchmark crude was at a premium of $6.65 to WTI for the same month. While the latest fighting in Libya has been far from the key oil installations, the potential for disruption was enough to rattle markets. Previous bouts of violence have had a serious impact on the country’s ability to ship crude. Tripoli’s nearest oil port is Zawiya, which is fed by the nation’s largest oil field, Sharara. If the fighting spreads, its activities could be threatened. The White House’s move to designate the Islamic Revolutionary Guard Corps a “foreign terrorist organization,” which takes effect April 15, is aimed at further scaring away any foreign company or government that does business with Iran. If tensions continue to increase, the U.S. may not extend waivers given to some buyers of Iranian oil, which will further squeeze supplies. The structure of the futures market is also showing signs of tightening. WTI’s three-month spread closed at a premium of 34 cents on Monday, flipping to backwardation, where the spot price is higher than the forward price, from contango. The marker’s prompt spread rose to as much as 40 cents Tuesday.